Picturesque charm & pure country curb appeal found in this one-owner home! 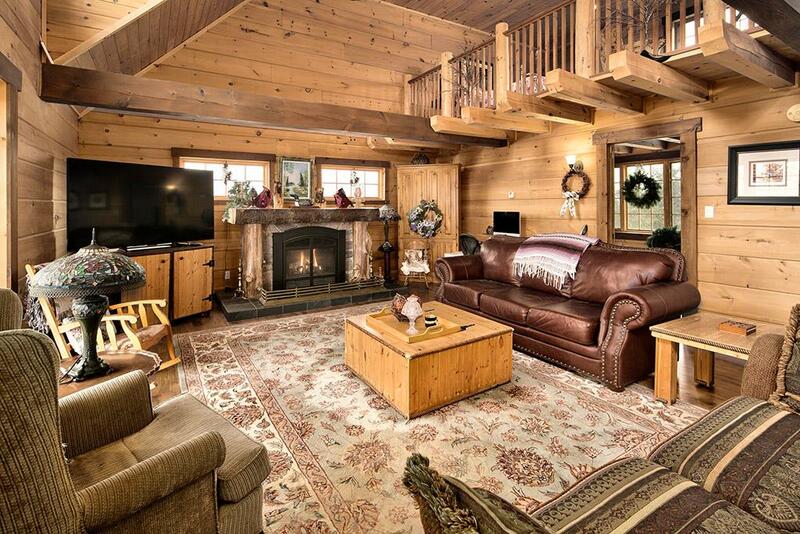 Privately situated on almost 5 acres is a beautiful, custom built log home offering 2300 sq ft of living space with an 1100 sq ft, 3-bay garage/workshop for all the toys. Big windows & cathedral ceilings light this open concept design. Spectacular wood finishes. Gourmet kitchen with solid cherry cabinets & bkfst bar, spacious dining area & great room with nat gas fireplace creates cozy ambience. Two bedrooms & 4 pc bath with soaker tub also on main floor. 800 sq ft lofted master retreat with ensuite. Main floor laundry & huge mudroom combination. Efficient natural gas furnace & central air. Outdoor nat gas hookups. Generator panel for back up energy. All appliances and some furniture included. Landscaping equipment included. Security system. Lower level is wide open and ready for finishing with roughed in bath. Close to Bells Lake, Ferns Golf Course & 20 minutes to the Beaver Valley.